Well, it's a bit late for this region, but winter finally arrived yesterday, 16 December 2006 XXIX. About mid-day the first snow of the season began to fall, and by early evening our nation was covered in a blanket of white. True to form, it is already melting today and should be mostly gone by this evening. 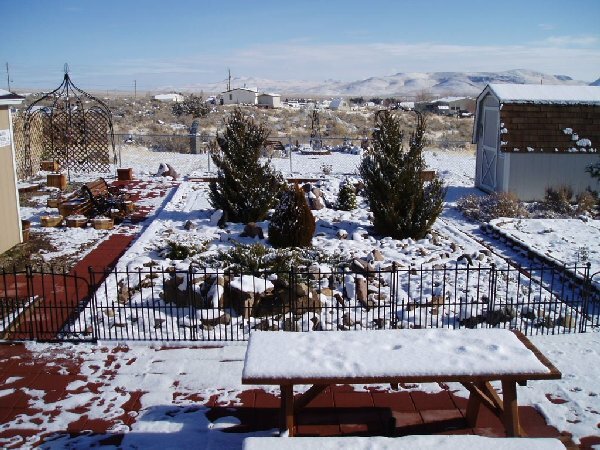 Snow rarely lasts long in Molossia. The winter season usually begins around the last weekend of November, with the first light snowfall almost invariably falling at that time. After that, the snow usually abates until January (and almost never occurs on Christmas). 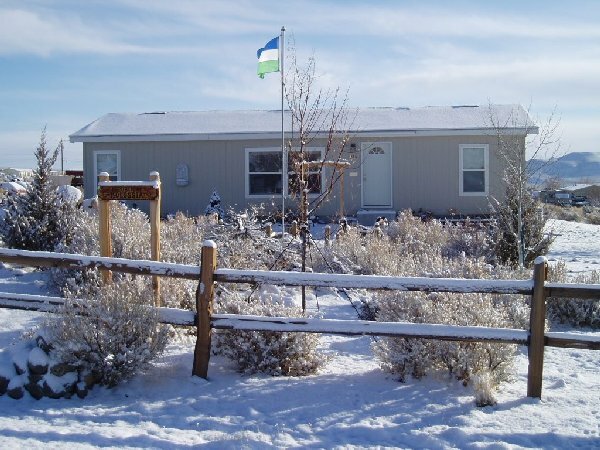 January and February are the real winter months in Molossia, with frequent snowfalls and cold temperatures being the rule. Occasional warm spells occur, especially in February and March, called "false spring", followed by the real spring in April. So this may be last snow we see for a while, but we still hold out hopes for a white Christmas!